As if in home movies, the Obi (traditional ruler) of Nsukwa kingdom in Aniocha South local government area of Delta State, HRM Kenneth Ezegbune 1, on Wednesday pulled down several shrines including a very powerful idolatry statue of “Nneoma” bequeathed to the kingdom, and replaced same with the statue of Jesus Christ in his palace. The monarch was said to have been disturbed by strange faces and voices in his palace and was strongly advised by his pastor to destroy and do away with all forms of idolatry and shrines after he claimed to have given his life and those of his children to Christ some time last week. Sources said the monarch’s passionate hatred for idolatry made him destroy the symbols, which attracted bad blood from his subjects including the palace chiefs who confronted him that he has committed a sacrilege. One of the chiefs, who spoke to Daily Post on condition of anonymity, said, “the king has defiled the land. He has destroyed several years old shrines. He said he is now with Christ, which means he’s now a pastor. The gods are angry, he can’t be king without the gods. The situation is very bad and the council of chiefs frown about the activities going on in the palace in the name of Christ Jesus”. But speaking with newsmen in the area, Obi Ezegbune said: “I was moved to pull down Nneoma statue and others, and erect the statue of Jesus Christ to remove the traces of Idolatry hitherto in my ascension to the throne in order to see the finger of God at work in Nsukwa Kingdom during my regime. “I don’t want to see anything idolatry, shrines in my kingdom. 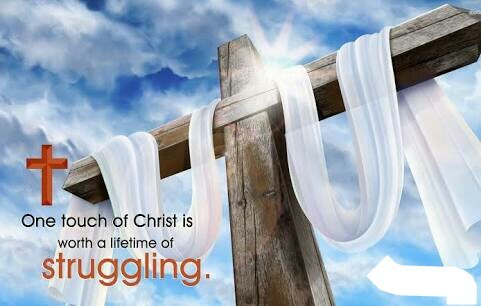 I and my household are in Christ Jesus, and no going back on serving God. He is the all and all in my life and that of my children, my wife”. 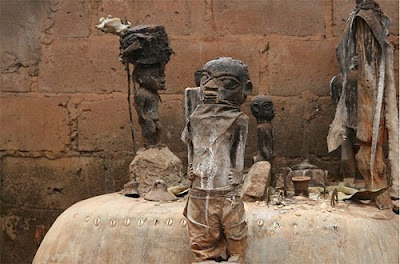 Some elders of the community, who also spoke on the condition of anonymity, described the decision of the king to destroy the Nneoma statue as portending bad omen, warning that the consequences might be too bad unless the king retraces his steps. “The gods are not happy at all, he has changed the traditions differently,” they said. Obi Ezegbune however insisted that, “My palace will continue to bubble in Christ Jesus. God is the greatest ruler, God is awesome. We shall continue to worship the Lord, Jesus Christ, there is King of Kings in Nsukwa Kingdom. I invite all Deltans, especially Christians to come and experience Jesus Christ through solemn worship at the palace’s King of Kings chapel”.